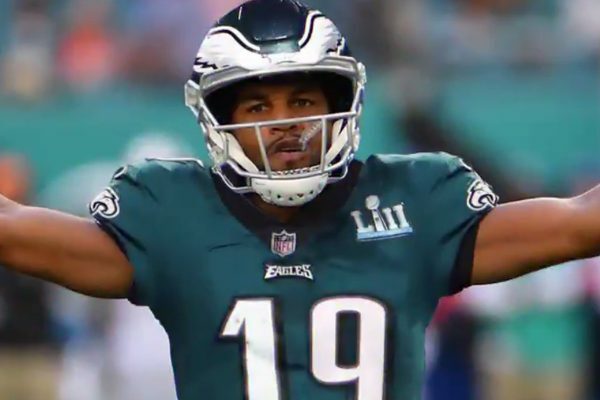 Eagles offensive coordinator Mike Groh admits that incorporating veteran wide receiver Golden Tate into the offense has been “challenging” according to Jeff LcLane of the Philadelphia Inquirer. The Eagles acquired Tate from the Detroit Lions for a third-round pick at the trade deadline but at this point the trade is looking like a mistake, especially with the Eagles falling out of the playoff race. Despite a bye week following the trade, Tate’s career in Philadelphia has started off slowly as can be expected with wideouts changing teams and schemes in midseason. Tate did see a bump in playing time in Week 11 against the New Orleans Saints and ended up leading the team in targets (8), catches (5), and yards (48). But the Eagles have lost both games since the trade and Tate has not yet developed chemistry with quarterback Carson Wentz. And the 30-year-old Tate is scheduled to become a free agent in March so the Eagles may see little return for their third-round pick investment. Originally a second-round pick out of Notre Dame by the Seattle Seahawks in 2010, Tate has three 1,000-yard seasons on his resume with Seattle and Detroit and is still capable of playing at a high level. Be the first to comment on "Philadelphia Eagles OC Mike Groh Says Getting WR Golden Tate Involved Has Been Challenging"